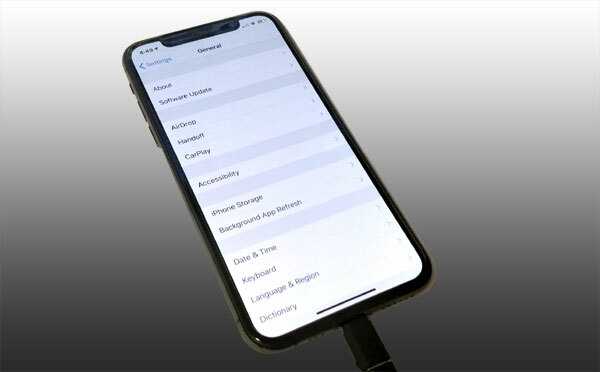 For the iPhone users, it is essential to define the Call Audio Routing source, when using GROM Bluetooth Car Kit, or any other car Bluetooth devices for the hands free phone calls. iPhone’s default setting for the Call Audio Routing is set to Automatic. That mean if the phone is connected to the car stereo via Bluetooth for hands free phone calls, and the user taps on the phone screen in order to accept the phone call, the call will be routed to the phone’s speakers and not to the car stereo speakers. 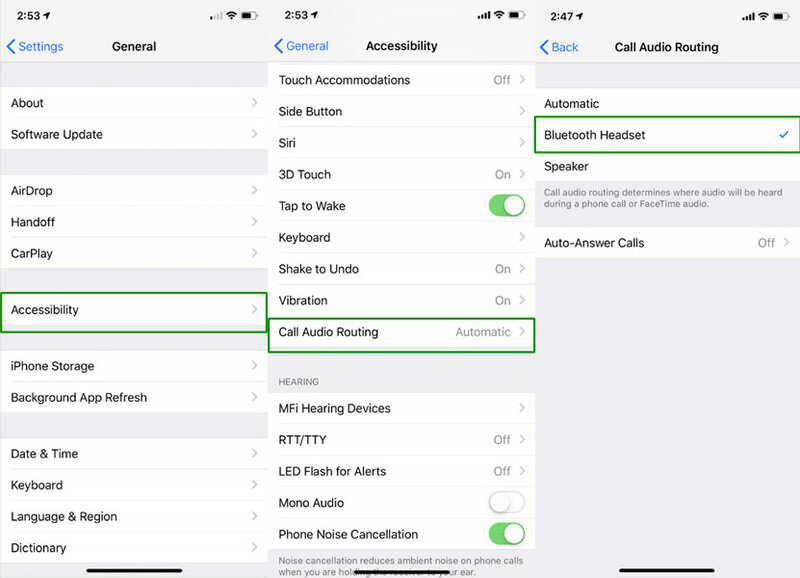 In order to prevent this from happening, and to route the phone calls through the car stereo speakers by default, no matter if the user accepts the phone call using the phone or car stereo button, the change in the iPhone Call Audio Routing setting is needed. This will allow the phone calls to always be routed through Bluetooth, if the iPhone is connected to the car’s or GROM Bluetooth HFP (Hands Free Phone) calls feature. GROM Audio Bluetooth car kits, integration adapters, allow for seamless Bluetooth technology integration into the existing factory stereos, without the need of replacing the car stereo. Bluetooth Hands-Free Communication (HFP): The user can take (answer/end) phone calls through the vehicle’s factory radio, by pressing the button on the car stereo or steering wheel controls. The user will use supplied microphone and the sound of the phone call will be routed through the car stereo speakers. Bluetooth Wireless Audio Streaming (A2DP/AVRCP): GROM-BT3 Bluetooth car kit supports Bluetooth Profiles A2DP and AVRCP for wireless audio streaming from a smartphone or any other Bluetooth-enabled device. GROM-BT3 Bluetooth car adapter allows for the control over playable music from the buttons on the vehicle’s factory radio or steering wheel; in some cases it will also display song/artist information on the factory radio’s display. GROM Bluetooth car kit will allow for wireless music streaming from any music streaming service – Spotify, Pandora, Amazon Music, Apple iTunes – you name it.